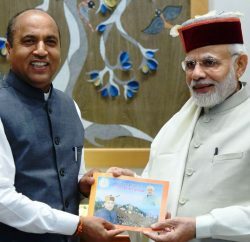 The CPM has asked for immediate censuring of the Vice Chancellor of the Himachal Pradesh University, Summerhill, for making the foundation day a political function to suit the interests of the ruling BJP. The party has asked the election commission to immediately take into possession the audio visual record (before it gets destroyed) into custody and thoroughly scan it. 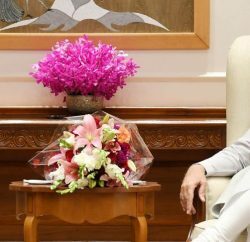 The apprehensions laid down by the party recently, stands vindicated where the party had asked the election commission to appoint an observer for the function fearing that the same would be used to galvanise the political campaign for the BJP for the ensuing elections of the assembly. The CPM has stated, not only was the foundation day function organised to help the BJP, the speeches made in itself speaks for the immediate censure of the Vice Chancellor. The stage was utilised to boast the achievements of the BJP government and to seek support for them. Slogans like , ‘Narender Modi would be the next Prime Minister of India’, Shiv Raj Chauhan would continue to be the chief minister in MP and one of the chief patron of the function and a cohort of the VC even announced the ‘mission repeat ’ slogan of the BJP in the official function of the HPU. The CPM has asked for an immediate intervention on the part of the ECI. The CPM has strongly condemned the political statement of the Vice Chancellor where he has stated that both the teachers and the students must be disarmed politically, whereas simultaneously is carrying out the most pernicious political agenda of the BJP both in the open and hidden manner. The party has called upon the people to thoroughly expose the sinister designs of the government and the Vice Chancellor who are determined to scuttle democracy and ensure that the HPU is governed on rabidly intolerant political lines. Congress also criticise University authority for using Foundation Day ceremony for BJP campaign. In a press communiqué, Congress said that the HPU should not become the Campaign Vehicle of BJP and should maintain the high standards of educational institution both academic as well as professional. Congress has appealed to the Governor, Himachal Pradesh, Urmila Singh to put a complete check and monitor the activities of University authorities especially in view of ensuing Assembly Elections. Party however, haven’t demanded Vice Chancellor’s resignation, but demanded to check his acts of omission and commission in the interest of institution.